We love this incredibly suave shirt, which has been wowing everyone in our shops. 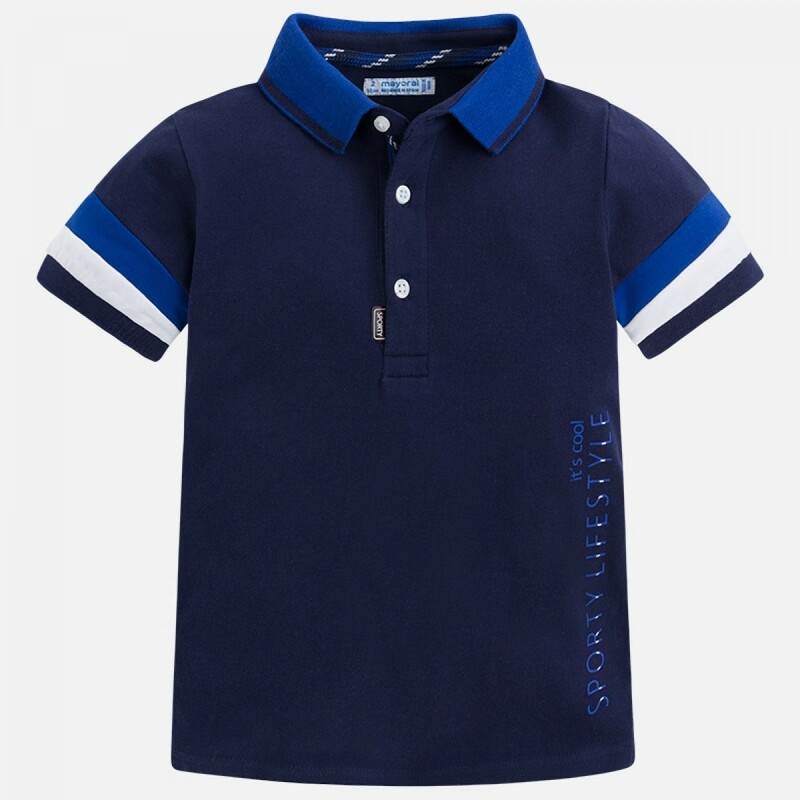 Beautifully crafted polo style in a two tone blue and white cotton piqué, the shirt has a ribbed contrast collar and block contrast sleeves. Bright, super cool and effortlessly stylish, it's a shirt he'll love wearing, all summer long. The colours are made for the summer - great for barbecues and parties when the weather is at its warmest. It's lightweight and easy to wear - the open collar and vented hem will help cool him down, even in the fiercest of summer heatwaves.